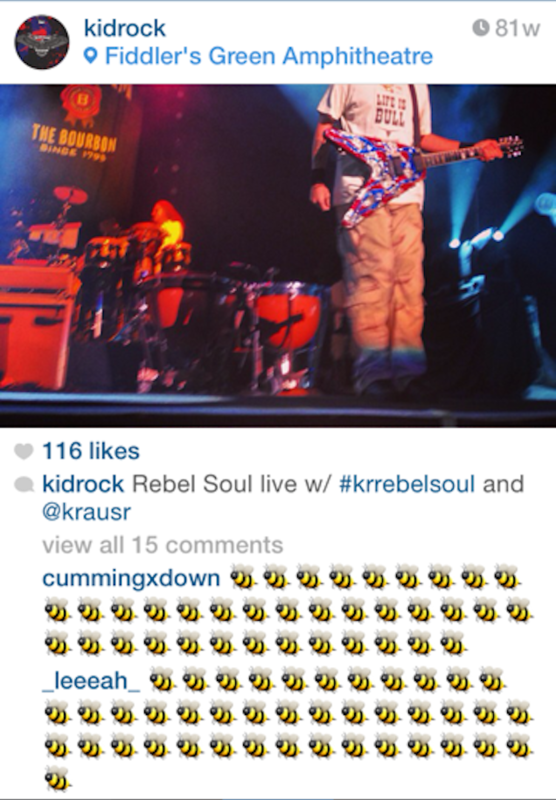 Kid Rock's Instagram is under siege. 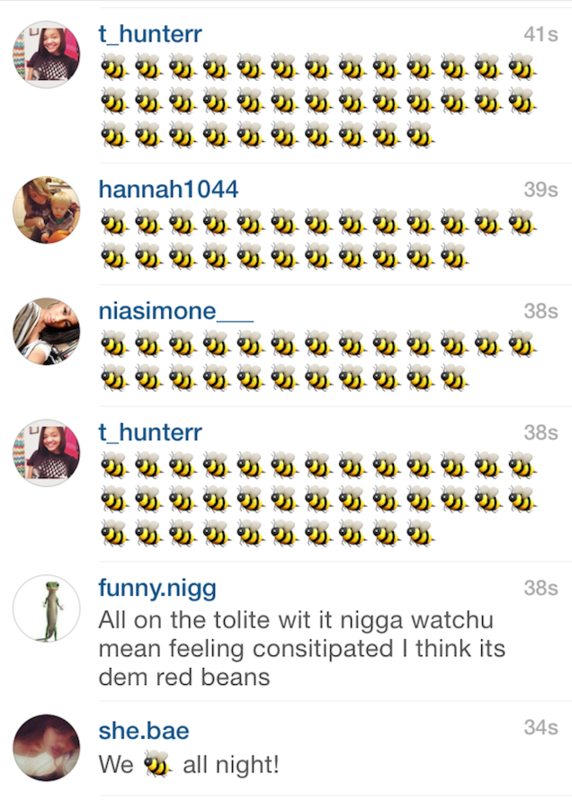 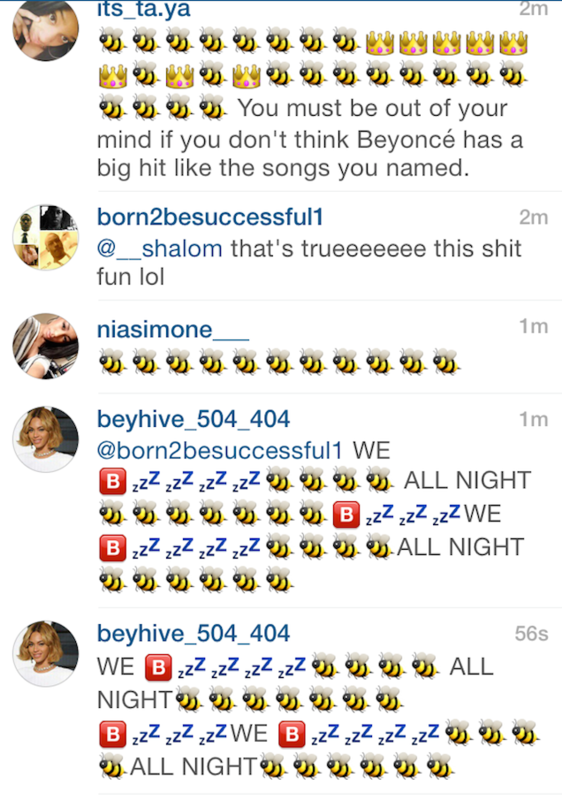 It has been invaded by crazed Beyoncé fans (which is all of them) wielding the bumblebee emoji with great force. 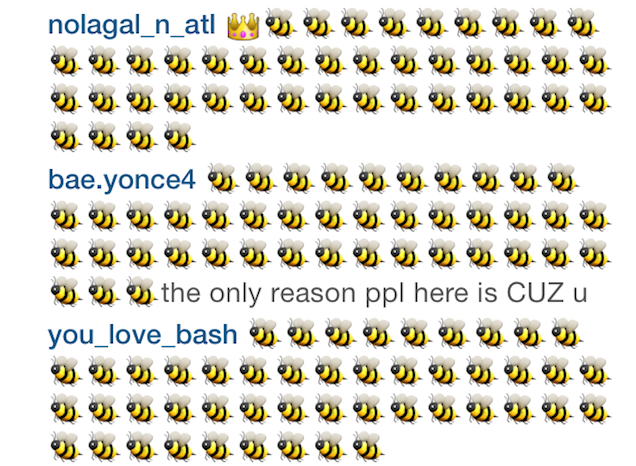 It's kind of pretty, isn't it? 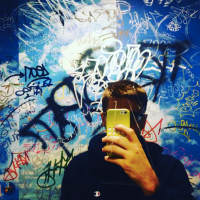 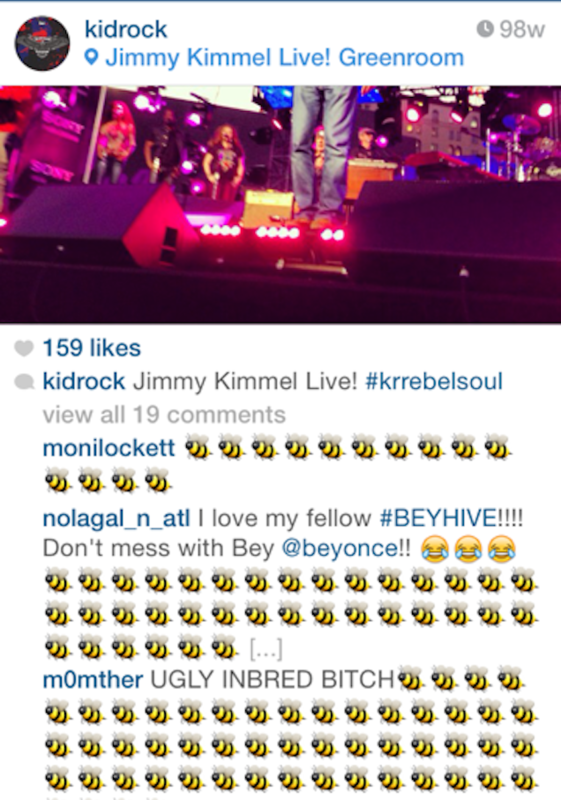 The Beyhive, quite predictably, has not confined itself to just Rock's most recent photographs. 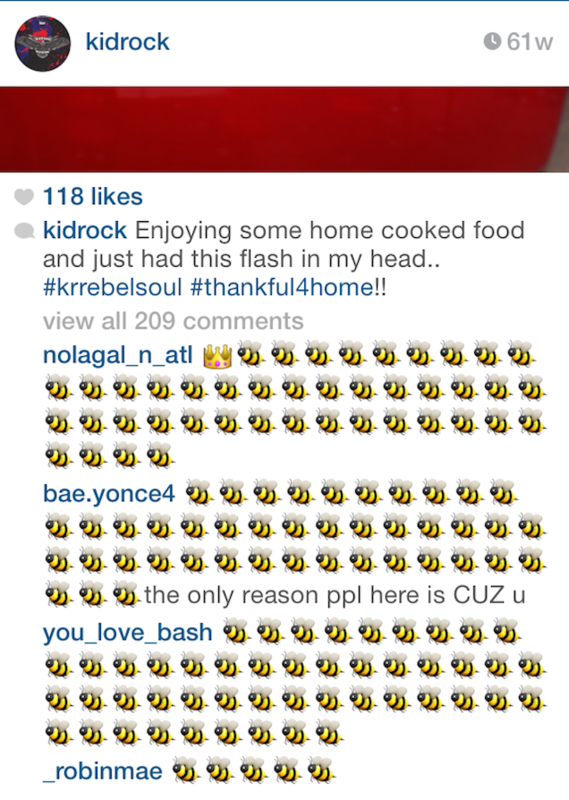 At one point I just started scrolling indiscriminately (Kid Rock is a power Instagram user) and clicking on photos at random to see if the Beyhive had built a colony there. 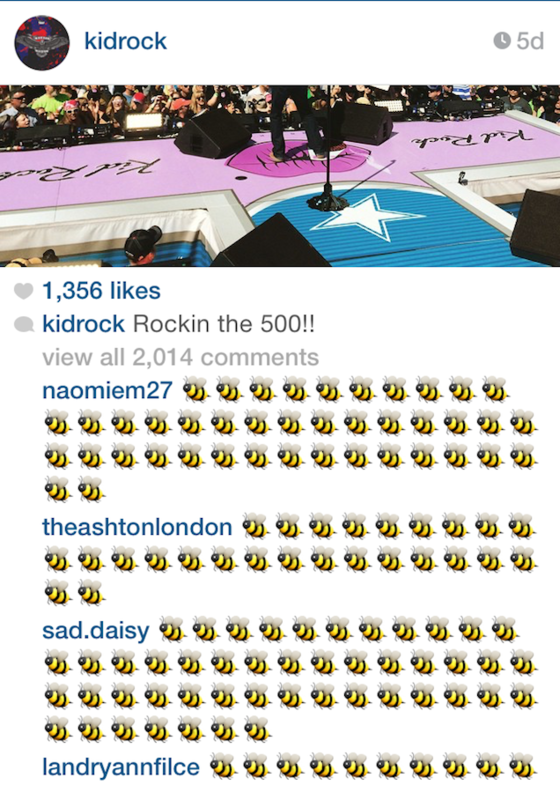 Time for Kid Rock to shoot his phone in the face and call it a day.